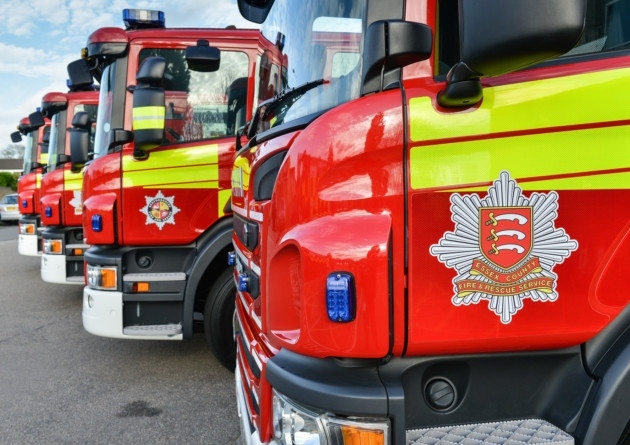 On Friday 9th June, as a result of an invitation from the Essex County Fire and Rescue Service (ECFRS), The Exceptionals travelled to HMP Chelmsford. Many at this point may be wondering what reason the ECFRS have for being at HMP Chelmsford at all, let alone inviting us along for the ride. Allow me to explain.On Friday 9th June, as a result of an invitation from the Essex County Fire and Rescue Service1 (ECFRS), The Exceptionals travelled to HMP Chelmsford. Many at this point may be wondering what reason ECFRS have for being at HMP Chelmsford at all, let alone inviting us along for the ride. Allow me to explain. For 12 years ECFRS have been running Firebreak, an intervention programme that is delivered to a wide range of individuals, from children to adults. The programme aims to increase self-esteem, whilst simultaneously addressing the learning outcomes agreed with the relevant partner agencies involved. ECFRS delivered around 55 Firebreak programmes last year, engaging with over 650 people from various backgrounds, across various communities. It is a highly popular and successful programme and this year projections suggest the number of courses delivered will increase to 120, ensuring even more people benefit from the course. In November 2016, ECFRS ran their Firebreak programme for the first time in a closed prison. 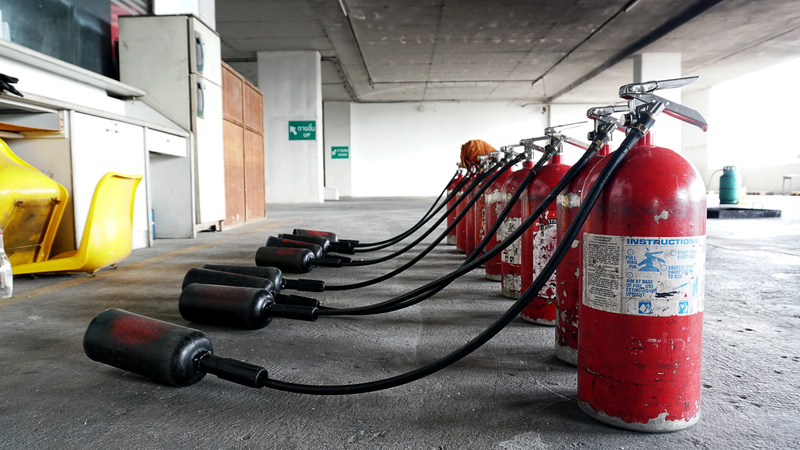 Over the course of 5 days, prisoners work with instructors (operational firefighters from the ECFRS) to learn practical skills such as fire safety and first aid and are also given the opportunity to gain an AQA qualification, equivalent to a GCSE. The course culminates in the Pass Out, during which the prisoners display the skills they have been taught and are awarded their qualification. However, the aim of the Firebreak programme is not to create and train firefighters. Rather, the purpose of the activities in which the men are engaged is to build soft skills: professionalism, problem-solving, communication, teamwork, punctuality, commitment and discipline. Away from the yard and fire engine, in an onsite classroom occupied by ECFRS for the week, instructors engage men in reflective conversations about rehabilitation and restorative justice. Throughout the week, the prisoners are treated by instructors as colleagues: in keeping with behaviour at the fire station, coffees, teas and lunch are all shared together. For Dave, this is why the course is so successful. The ECFRS uniform and badge mean that the instructors are instantly able to gain trust from the men, but it is this inclusive environment which allows the prisoners and instructors to build open, meaningful relationships with each other. Several of the prison officers were amazed by how quickly members of ECFRS were able to build positive relationships with the prisoners. This was the second time ECFRS had run their course in HMP & YOI Chelmsford and we had travelled up to see the Pass Out (i.e., the final day celebrations) of the course. Arriving at the prison at 11:30am, we were met at the main gate by Dave Bond, Community Development Funding Officer for ECFRS, Senior Divisional Officer Julian Ashby from ECFRS and Vicki Meanwell, the Head of Reducing Reoffending at the prison (who has been instrumental in allowing the course to run). They were joined by two guests of honour, Simon Hall, High Sheriff of Essex, and Jane Gardner, Deputy PCC for Essex (the PCC are funding the Firebreak programme at HMP & YOI Chelmsford). We were then led through to the yard (outside exercise area) of G Wing, where the Pass Out was taking place. There to greet us were several members of ECFRS, instructors from the Firebreak programme, the 12 prisoners (ranging from 18-42 years of age) who had completed the course, and an ECFRS fire engine (minus ladders). Alongside the guests of honour, many members of the prison staff gathered to watch the Pass Out, delighting in the men's achievements. The drills they completed were physically challenging and revealed just how hard the men had worked over the course of the week. In particular, they seemed to have mastered the method of rolling a fire hose, known as dutch rolling which is notoriously difficult. During the Pass Out, two of the prisoners gave speeches. They spoke about how the programme had helped them to change their attitudes for the better and how grateful they were to ECFRS, to the Vicki Meanwell, Head of Reducing Reoffending at HMP & YOI Chelmsford and to the Essex PCC for making the course happen. In addition to their qualification certificate, each man was given a portfolio, outlining what they had done on the course along with repeated assessments made by the course instructors of the men's performance and progress. Whilst the ECFRS hopes that the qualification, portfolio and skills gained will help individuals on release from prison, particularly when it comes to finding employment, it is also hoped that it can transform their experiences of prison whilst still inside. Ultimately, the programme aims to give these men momentum to turn their lives around. Before leaving, we had a chance to speak to the men who had completed the course, who had nothing but kind words to say about the programme itself and the instructors running it. In particular, they mentioned how great it had been to work with other men whom they had not met before (all the men came from different wings in the prison). Given the success that ECFRS has had running the Firebreak programme in prisons so far, they hope to inspire other county fire services to do the same. ECFRS are continuing to run courses with HMP & YOI Chelmsford and HMP & YOI Hollesley Bay, and are due to start delivering in HMP Warren Hill and HMP Highpoint later this year.